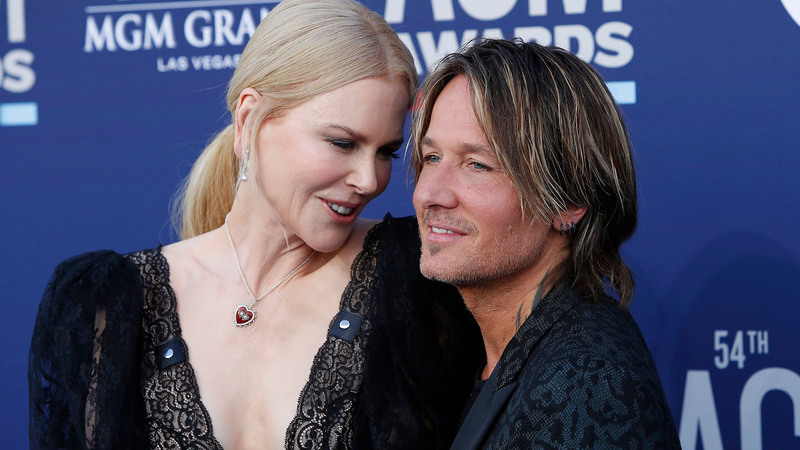 It’s Nicole Kidman and Keith Urban’s world and we’re just living in it. The couple packed on the PDA and went full blown rom-com at the Academy of Country Music Awards in Las Vegas, where Urban not only performed his new ballad, “Burden,” but was also honored with the Entertainer of the Year award. The duo looked genuinely shocked as hilarious host Reba McEntire called out Urban’s name, going in for a truly sweet kiss before Urban hopped up on stage. Though that was the icing on the cake, the Australian couple had already been having a very wonderful evening. Every time the camera panned to them in the audience, Kidman and Urban were seen dancing and singing along to all the performances, rooting on fellow nominees and being an all-around perfect couple. In other words, they looked incredibly in love. “The night is just beginning!! Celebrating entertainer of the year at the #ACMAwards! THANK YOU EVERYONE!” Kidman captioned a candid shot of the two after Urban’s win.